Connected Rear Entertainment System – second- and third-row passengers can enjoy streaming video on the ceiling-mounted, 10.2-inch WSVGA Rear Entertainment System, including PBS Kids, iHeart Radio, Spotify and more, through the available in-vehicle 4G LTE Wi-Fi, public Wi-Fi or user’s cellphone data plan. A new “How Much Farther?” app lets passengers track the family’s trip progress. Super mode – like Easy Access mode but with the driver’s side seat set to walk-in position (slid full forward with the seatback tilted) for maximum access to the third row. Wide mode – with the center seat removed and two outboard seats in their outer most positions, providing a wide center walkthrough to the third row (and no more “Dad, he’s touching me again!”). Honda offers a full line of reliable, fuel-efficient and fun-to-drive vehicles with advanced safety technologies sold through over 1,000 independent U.S. Honda dealers. 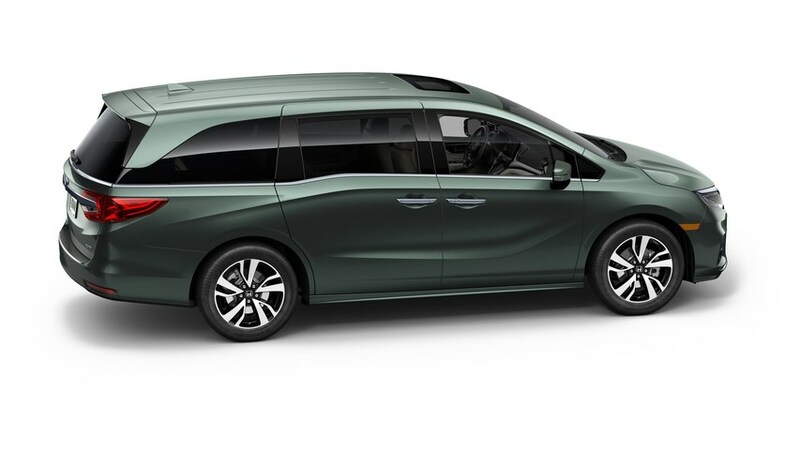 The Honda lineup includes the Fit, Civic, Accord and Clarity Fuel Cell passenger cars, along with the HR-V, CR-V and Pilot sport/utility vehicles, the Ridgeline pickup and the Odyssey minivan. Honda has been producing automobiles in America for 34 years and currently operates 19 major manufacturing facilities in North America. In 2016, more than 96 percent of all Honda vehicles sold in the U.S. were made in North America, using domestic and globally sourced parts. SOURCE American Honda Motor Co.